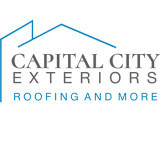 Exterior Professionals specializing in roofing, gutters and siding We also do decks, patios and other misc work. Please contact us for further specifics. PROVIDING QUALITY ROOF INSTALLATIONS IN THE CHARLOTTE, NC AREA SINCE 2001 The installation of a new roofing system on your home will be one of the most important decisions you make as a homeowner. Making the right decision is key to maximizing your financial investment as well as getting the longest life out of your home. Since opening our roofing business in 2001, Charlotte Pro Roofing has been providing quality roofing installations in the Charlotte, NC area. Our motto is simple, provide every customer with a quality roof replacement or roof repair that lasts. As a result, our customer base has grown throughout the years. However, our motto remains the same. We continue to provide quality roofing installations in the greater Charlotte, North Carolina area. Charlotte Pro Roofing is the leading roofing contractor in Charlotte NC market. We use the Most Trusted Brands in the roofing industry GAF, Owens Corning, CertainTeed, IKO, and Tamko. Roof Roof is the most highly recommended Charlotte roofing contractor, and with thousands of successfully completed projects to our credit, it’s easy to understand why. Our entire team is committed to quality workmanship and the kind of customer service that lets every client know they are our #1 priority. 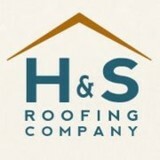 H&S Roofing & Gutter Company, Inc.
H&S Roofing Company was founded in 1939. Edward “Ned” Arthur, the current owner, worked for H&S Roofing Company for almost 10 years before he purchased the company in 1992. H&S maintains a fully staffed office at 506 W. Summit Avenue in downtown Charlotte. Our tenured employees provide personalized, customer driven service. Customers enjoy the ease and satisfaction of dealing with real human beings when they call – there is no phone tree to muddle through and customer calls go to an office – not an answering service or the voice mail of a cell phone. H&S Roofing & Gutter Company has maintained a reputation for the highest quality workmanship in the area and today is the leading roofing contractor in the Charlotte, NC metropolitan area. At H&S we treat everyone as a valued client and give you our best products and services to fit your individual project needs. Overall, we pride ourselves on meeting timelines and will always provide you with accurate and professional results. Our proactive approach to jobsite management, quality, and safety, combined with our buying power and capacity, can provide you with roofing and gutter solutions that bring your projects in on-time and on-budget. While other roofing companies may take short cuts, H&S Roofing & Gutter Company still hand nails every shingle to ensure a solid installation that will last homeowners for many years. In fact, we are so confident in our installation techniques that we offer the longest warranty in the industry (Life of Shingle Workmanship Warranty). Although primarily a residential roofing and gutter company, H&S Roofing & Gutter Company has also provided roofing and gutter services for historic restorations (The Hezekiah Alexander House, the oldest home in Mecklenburg County; Historic Brattansville; the Historic Train Station in Salisbury, Latta Plantation and the history of Charlotte Museum) as well as for major commercial facilities and public buildings in the Charlotte/Metro Region. H&S Roofing has been exceeding Expectations since 1939 so when you need any roofing or gutter work, residential or commercial call the professionals at H&S Roofing & Gutter Company. 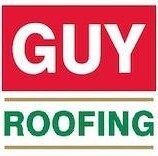 Guy Roofing, Inc. was founded in 1970, and is a full service roofing contractor specializing in commercial, residential and industrial roofing solutions. Family owned and operated for three generations, we strive to build long term, working relationships with our customers, and to ensure that the best roofing system is selected for each customer. Trust is the cornerstone of our business. As a company, we pride ourselves on the quality of our workmanship, the responsiveness of our team, and the level of customer service we provide. We do everything with the expectation that we will do it well and to our clients' satisfaction. From the office to the field, you will get the same level of customer service at every turn. KBS Contractors specializes in residential roofing replacement and repairs, custom made replacement windows and siding installations, on site manufactured seamless gutters and gutter protection system and below deck systems. Call for a no cost estimate. We will be prompt and give you a fair price. Choosing KBS Contractors is the right choice for you because we do all types of roofing installation as well as coordinating with your insurance company if there is storm damage claim. With 6 plus years of construction experience, Boss Roofing & Exteriors, LLC will help you with all your roofing and exterior work. New roof installation, roof repairs, soffit and boxing repairs and new installation, gutter cleaning and gutter repairs along with new installation. If you need any brick, stone or stucco work we will also provide that. Our main focus is to offer one stop installation and repairs for all your exterior needs. Do you need a new roof for your home to replace that leaky and outdated roof that you have? Are you interested in new siding or gutters? Call us today, and let us take care of the rest for you! You can get a new roof installed, or new gutters and leaders installed for your home, just by calling today. We have the experience necessary to get the job done right, and we are not done until you are fully satisfied. Contact Creason Roofing today for the area's best Roofing Contractors! The longest locally owned leaf free gutter company. Locally owned and operated since 1999. K-Guard gutters are the most effective and attractive leaf free gutter solution available. Using all aluminum components, we do not use plastic end caps, adding to the durability and attractiveness of the design. We are your best choice when it comes to any exterior work on your home. We are experts in Roofing, Windows, Siding, and Gutters. Carolina Ninja is a newer company but with over 17 years experience building homes in the local area. All of Carolina Ninja's employees are background checked for professionalism, drug tested for quality, and properly trained to guarantee the best work is preformed. The owners, Samuel Laughlin and Michael Mitchell are actively involved in every project quality checking every job! A&W Custom Carpentry and Roofing has been providing exceptional carpentry and roofing work for the past 10 yrs. Owner Nicholas Woolf has over 15 yrs of experience in the carpentry and roofing industries. A&W only employs top notch carpenters and roofers who are committed to completing every project as though it were there own home. The level of care, attention to detail and thouroghness reaches above and beyond your average contract work. We won't leave till your happy. 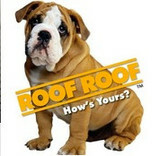 So call today for a free no-obligation roof inspection by one of our HAAG certified inspectors. GHC Professional Roofing has been providing Lake Norman & Charlotte with top residential & commercial roofing replacement and repair for more than 10 years. GHC Professional Roofing is built on professionally trained employees who believe in 100% satisfaction. We are fully staffed to promptly and accurately take care of your residential & commercial roofing replacement and repair requirements in Lake Norman & Charlotte. GHC Professional Roofing is well equipped to repair and/or replace all types of roofing on all types of structures: residential roofing, commercial roofing, and even industrial roofing. We work with all major and minor types of roofing, both traditional and proprietary. We also provide interior repair services such as drywall and trim repair, and painting. We also can repair rotten fascia, soffit, trim, and siding on your exterior as we are performing whole roof and gutter replacement. BCI is the premier leader of metal roofing in the Carolinas. We install quality metal roofing systems for homeowners that are second to none, providing a maintenance free roof, with longevity. Local roofing and repair specialist. Worth Supply is a specialty distributor of new and reclaimed slate and clay tile, cedar shakes, accessories, and rubber shingles. Worth Supply specializes in custom design ideas for your next roofing project to meet all budgets. What do roofing companies in India Hook, SC do? Your India Hook, SC roofing contractor can install a new roof or repair an old one, as well as repair and replace gutters. Good roofers in India Hook, SC should be able to promptly inspect roofs and gutters to assess damage after a natural disaster or other event, and give you an estimate for the necessary roof repair immediately. Some India Hook roofing companies specialize in specific types of roofs, such as tile or metal, so make sure the one you are interested in works with the materials you have or desire. Find an India Hook roofer on Houzz. Narrow your search in the Professionals section of the website to roofing companies in India Hook, SC. If you’re planning a large-scale project, find other professionals on Houzz who can help get the job done. Here are some related professionals and vendors to complement the work of roofing & gutters: General Contractors, Specialty Contractors, Siding & Exteriors, Door Sales & Installation, Garage Door Sales & Installation.